Nestle in for the day! Relax and enjoy this lovely assortment of gifts perfect for the one you love for any occasion! 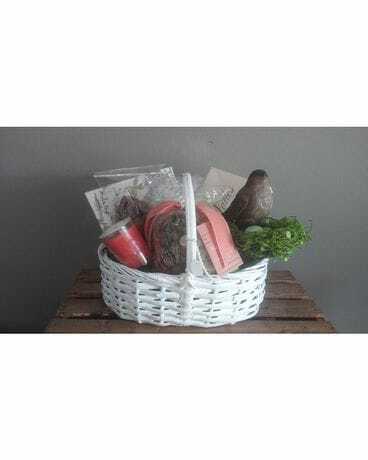 Nestle in includes a lovely decorative nest and bird, potpourri, a matching scented andle, one of our beautiful paper plates and candy all wonderfully arranged in a whimsical basket.